South Philly ring idol Jimmy Carlini died on Saturday, December 7th, just eight days shy of his 83rd birthday. 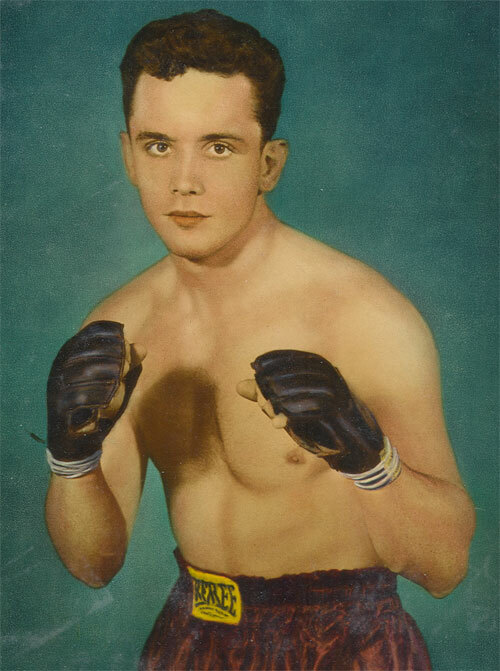 The baby-faced Carlini grew up around 9th and Watkins Streets in South Philadelphia, and was an outstanding professional welterweight of the early 1950s. 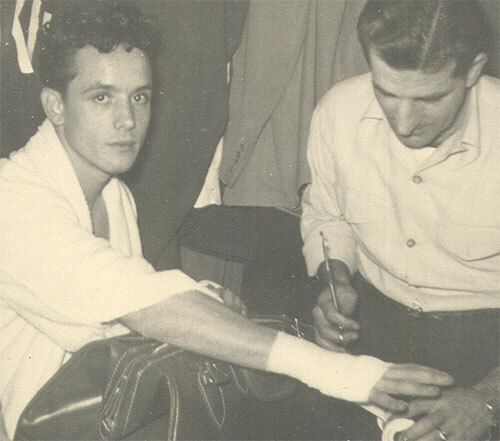 After a successful amateur run that saw him twice place second in the Philadelphia Diamond Belt tournament, Carlini turned pro in the summer of 1951 with a 4-round decision over Chico Corsey at Toppi Stadium. Carlini was a staple at the various local arenas, seeing action at Toppi, The Met, and the Cambria. The 147-pounder also fought in New York eight times (five times at Brooklyn's Eastern Parkway Arena and three times a Sunnyside Gardens in Queens). It was in New York that Carlini attracted the attention of middleweight contender Rocky Graziano, who became his mentor and sometimes stable mate. Carlini fought only four years as a professional. In 1954, while recuperating from a back injury, Carlini was accepted to the Philadelphia Police force. The new opportunity fulfilled a lifetime dream, and he left his ring career behind. He served as a policeman for 38 years. Carlini was never defeated as a professional. He posted a confirmed overall record of 19-0-1, with 5 KOs. Some accounts claim that he had as many as 26 ring victories in the professional ranks. His lone blemish was a 6-round draw against Larry Baker in 1952. However, Carlini won their 6-round rematch just three weeks later. Both fights took place at Sunnyside Garden. A few years later, Baker fought his way to a top 10 ranking and fought TV bouts with Gaspar Ortega, Garnet Sugar Hart and Vince Martinez. Some feel that beating Baker represented Carlini's finest hour. 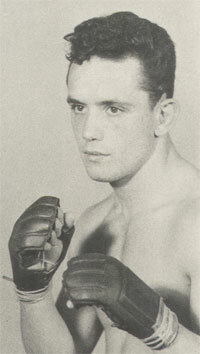 Another one of Carlini's best career wins was his 8-round points victory over Ike White at Toppi Stadium in 1953. However, Carlini himself cited his close win over Don Braun at Wilmington Park in 1952 as his finest ring appearance. Carlini won a split decision that day. It was the only scheduled 10-rounder of his career. Once Carlini was scheduled to fight his friend and fellow South Philadelphian Santa Bucca in 1952 at the Cambria. However, when the fighters realized that their next bout was against each other, both refused to go through with the fight. A poster exists of the phantom bout. 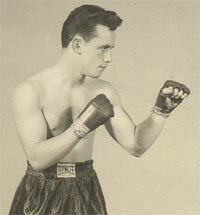 In his final bout, Carlini rose from a 3rd round knockdown to take a 7-round decision win over Johnny Cooke in 1954. 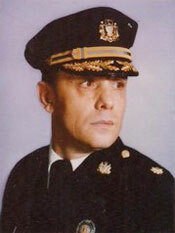 During his long service as a policeman, Carlini earned several key assignments, including the security detail when Pope John Paul II visited the City of Brotherly Love in 1979. 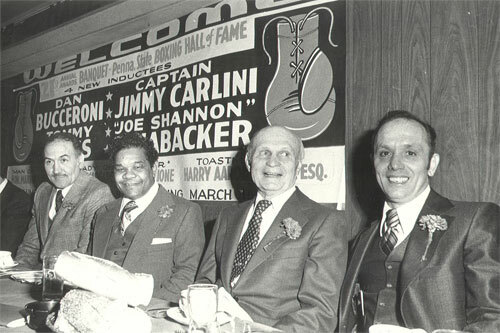 The same year, Carlini entered the Pennsylvania Boxing Hall of Fame. His name is also enshrined on the base of the Joey Giardello Statue as one of the Top 50 South Philly Boxers of Italian ancestry. 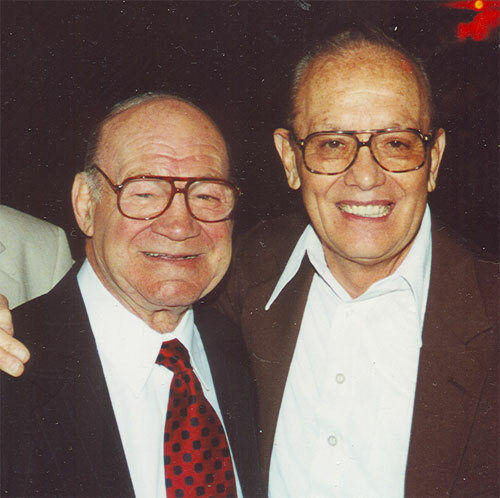 In his later years, Carlini was an active member of the Veteran Boxers Association - Ring One. He also worked with the Montgomery County Boys Club, training young boxers (below). Carlini is survived by his widow Mary, and was the father of two daughters and had four grandchildren and three great-grandchildren. Services for Jimmy Carlini will be held at The Church of Stella Maris (9th & Bigler Sts. ), Thursday, December 12th. A viewing will be held at 9AM, followed by a funeral mass at 10AM.